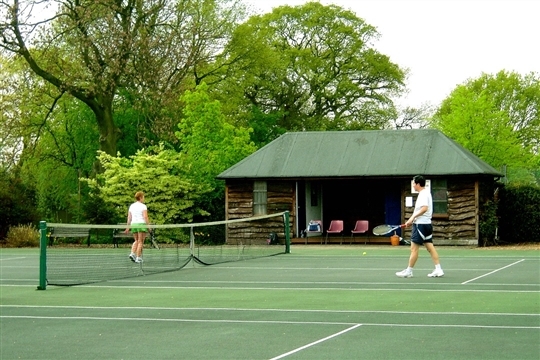 For nearly a hundred years Woodlands Tennis Club has provided a friendly and affordable venue for family, social and competitive tennis in Southwest Birmingham. Situated in a lovely, grassy recreation area typical of the Bournville estate, the club is reached along a track running from Innage Road, opposite Cornfield Road, in Northfield B31 2DX. For players who wish to undertake individual practice to improve their skills, the club has a ball throwing machine which can be hired for a small fee. Subscription fees for 2017 are unchanged from last year and are detailed below. Please copy and complete this form and send it with your payment to the Club Treasurer at the address below. We will then contact you by email or phone to arrange collection of the keys and welcome you to the club. If you prefer to meet us before joining please visit during social play on Sundays from 2pm or Wednesdays from 6pm. (Your email address will only be used to inform you of any news from the club, saving on postage costs, and will not be shared with any third party. Please tick the type of membership required, and state the names and ages of any junior members if not shown above. An additional refundable £5 deposit is requested for a court key. 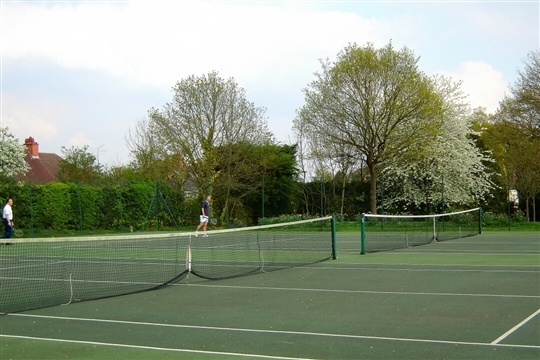 Cheques should be made payable to Woodlands (Northfield) Lawn Tennis Club.